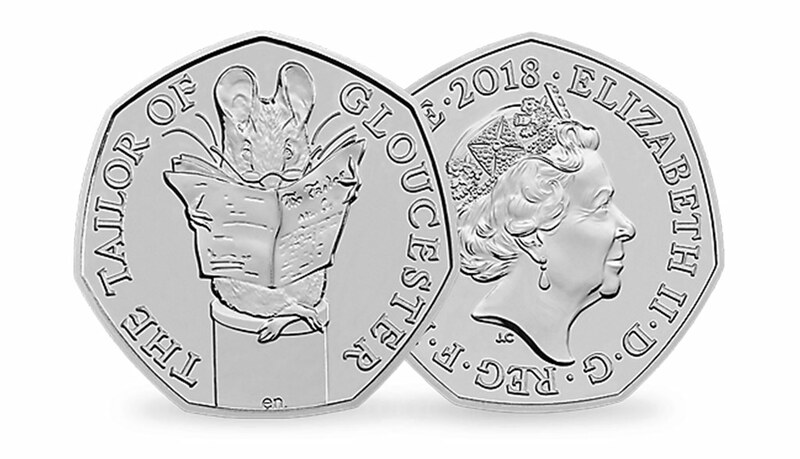 The 2018 Tailor of Gloucester 50p coin has been issued to celebrate one of Beatrix Potter’s most loved children’s tales, ‘The Tailor of Gloucester’. Struck by The Royal Mint, this is the first UK coin to feature Tailor of Gloucester. It is part of the third series of Beatrix Potter 50ps after the 2016 and 2017 issues proved to be extremely popular with coin collectors. The reverse design features the Tailor of Gloucester designed by Emma Noble, while the obverse features the fifth definitive portrait of Her Majesty Queen Elizabeth II by Jody Clark. The Tailor of Gloucester 50p is protectively encapsulated and Certified as superior Brilliant Uncirculated quality.